Amandla Stenberg is set to appear on the big screen in the film adaptation of Everything Everything next week, but ahead of the film's release, she's unveiled her contribution to the soundtrack. The actress (and now singer) recorded a cover of Mac DeMarco's Salad Days jam "Let My Baby Stay," putting her own moody electro-pop spin on the track. 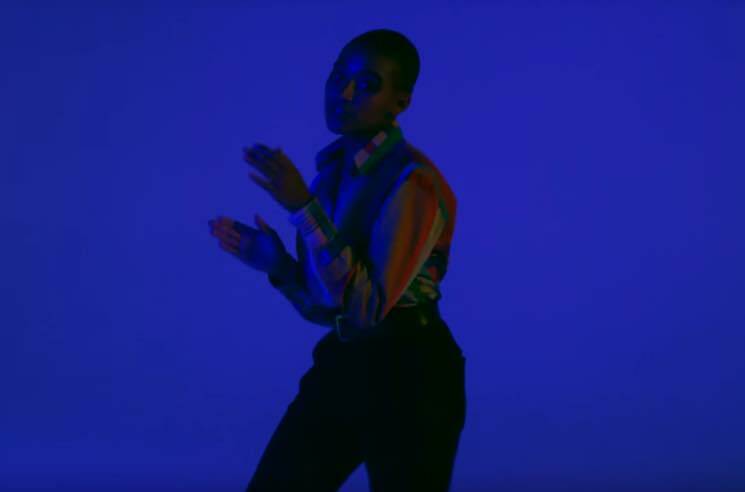 The song has also been paired with a new video, which finds Stenberg showing off her dance moves against colourfully lit backdrops as her peers gaze into the abyss of their mobile devices. Stenberg directed and edited the clip herself, and you can check it out below. Everything Everything will hit theatres on May 19. The soundtrack also boasts cuts from BADBADNOTGOOD featuring Charlotte Day Wilson, Francis and the Lights, Alabama Shakes, Zedd featuring Alessia Cara, Anderson .Paak, Kehlani and DeMarco's original version of "Let My Baby Stay." Get Mac DeMarco's new album on limited-edition silver vinyl here.